Scrap tires removed from auto repair shops are usually discarded and sold at low prices. 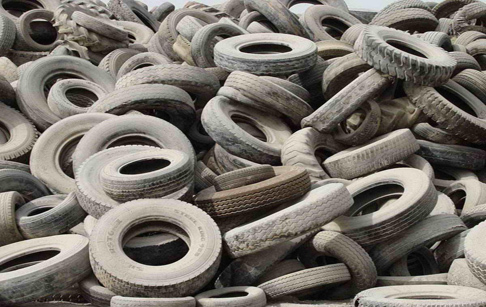 Waste tires can now be processed , and equipment that turns waste into treasure has emerged. 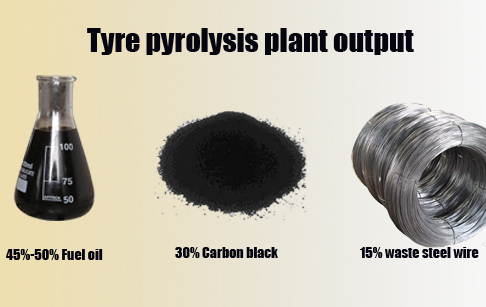 The recycling tires to fuel oil pyrolysis plant utilizes the principle of high-temperature pyrolysis to crack the waste tire into a chemical process of fuel oil, carbon black, steel wire, and combustible gas in a closed environment. The DoingGroup's recycling tires to fuel oil pyrolysis plant includes reactors, oil-water separators, vertical.horizontal condensers, water seals, vacuum devices, dust removal, and smoke removal devices. 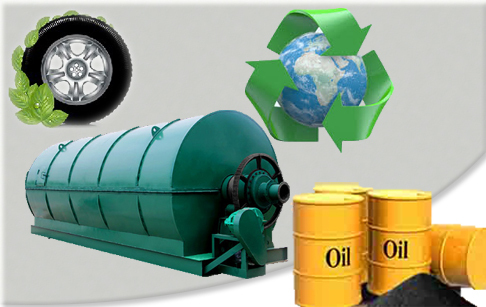 First of all, before operating the recycling tires to fuel oil pyrolysis plant, it is necessary to prepare enough waste, mainly bicycle tires, motorcycle tires, car tires, truck tires and other heavy machinery tires. Of course, in addition to various types of tires, various waste plastics, waste rubber, and other organic solids can be used as raw materials. Next, the reactor is heated and the prepared waste is sent to the reactor via an automatic pusher. High temperature pyrolysis into oil and gas. Again, these oils and gases pass through the cooling system, are liquefied as flammable oil after being cooled, are filtered by oil-gas separators, and fall into oil tanks. Finally, non-condensable gas is also called flammable gas. It has good flammability. This gas will be reused in the heating raw material of the reactor., but also improves the efficiency of equipment operation. The carbon black produced during the operation of the equipment is automatically discharged from the furnace through side slag discharge. These net benefits, minus the cost of buying scrap tires, as well as a small amount of water consumption and worker costs, can get nearly 2,000 US dollars a day. The profits of these materials are so huge. What are their specific uses? 1. 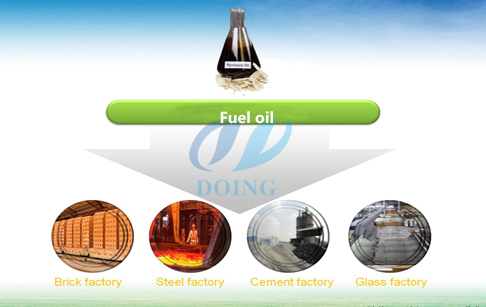 Fuel oil: It is mainly used for the combustion oil in steel plants, cement factories and bath centers, and can also be used for power generation of heavy machinery. 2. 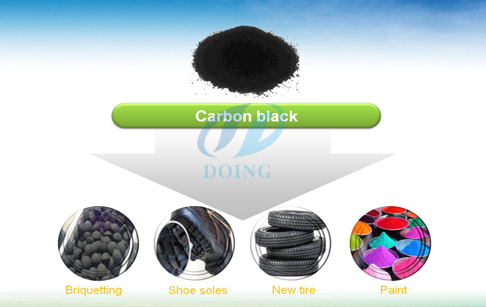 Carbon black: It is mainly used for pressure ball combustion and refined milling. Refined flour can be used for new tires, shoe soles, and pigments. 3. Steel wire: mainly used for waste recycling and recasting. 1. The material of the reactor is Q245R steel, which is a standard boiler plate steel with a thickness of 16mm. This kind of material steel can withstand high temperature, long service life. 2. Equipped with a device for dust removal and smoke removal, the recycling tires to fuel oil pyrolysis plant's emissions have no pollution to the environment, and can fully meet the assessment criteria of the environmental protection department. 3. Unique welding process, long service life. 4. The longest use of the oil industry, the best condenser. 5. An external thermal insulation device is designed on the outside of the reactor to reduce the loss of temperature and save energy for heating. If you wanna to get more details about Recycling tires to fuel oil pyrolysis plant you can send E-mail to market@doinggroup.com. You can consult our professional engineer and specialized sales team with leave a message in below form.We will contact with you ASAP.You also can visit our factory in Henan,China.Get Detailed address.